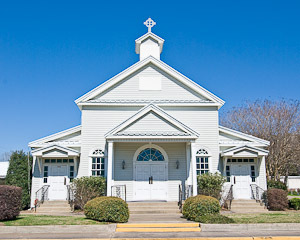 St. Patrick Catholic Church, a parish community in the Roman Catholic Diocese of Lafayette, Louisiana, was founded in 1952, after having served as a mission chapel cared for by the clergy of St. Genevieve Catholic Church. The parish rejoiced to celebrate its 50th anniversary in 2002. We are a community that loves the Eucharist. We care about each other and we care about the poor. We reverence the Word of God and we treasure the traditions of our Church. We value singing in our celebration of the Eucharist, and we strive to live the Gospel when we are sent forth from our common worship. 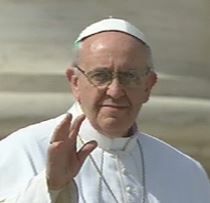 The current pastor is Fr. M. Keith LaBove. Our Mass schedule is listed at right, our location is given below, and you can join our parish by completing and returning our census form, available here. We are located at 406 East Pinhook Road, Lafayette, LA, just off the EvangelineThruway and next door to the Charter School (formerly Lerosen Elementary). Contact us at the address or phone number listed at right.